We were asked by Murtaza Teke and Francis Van Acker, owners of rapidly expanding Design Republic to design their new offices. As you will notice, they wanted to treat themselves and their employees to beauty and luxury in their daily environment. 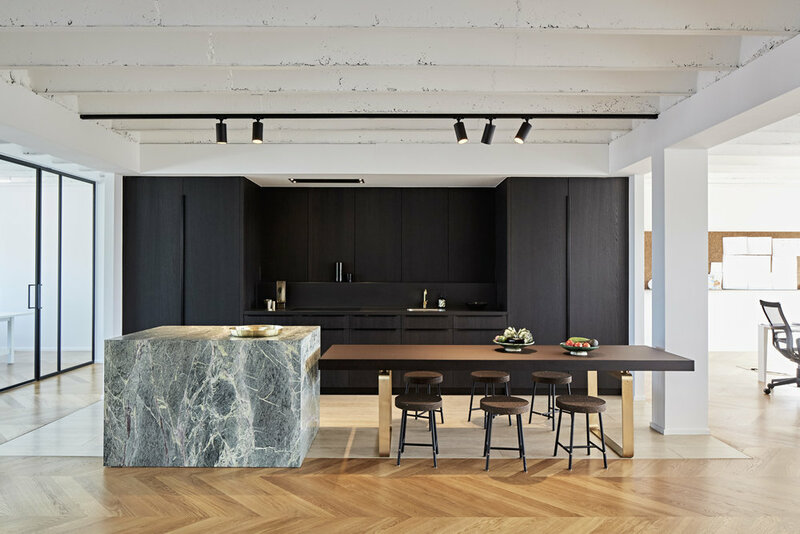 Since Design Republic has a strong emphasis on food packaging design, the kitchen was going to be the main feature, designed for heavy duty while nonetheless looking elegant. No dark small employee lunch room, here but a pleasant and bright lunch break place instead. Contrast between the rough structure of the ceiling and the solid oak flooring. 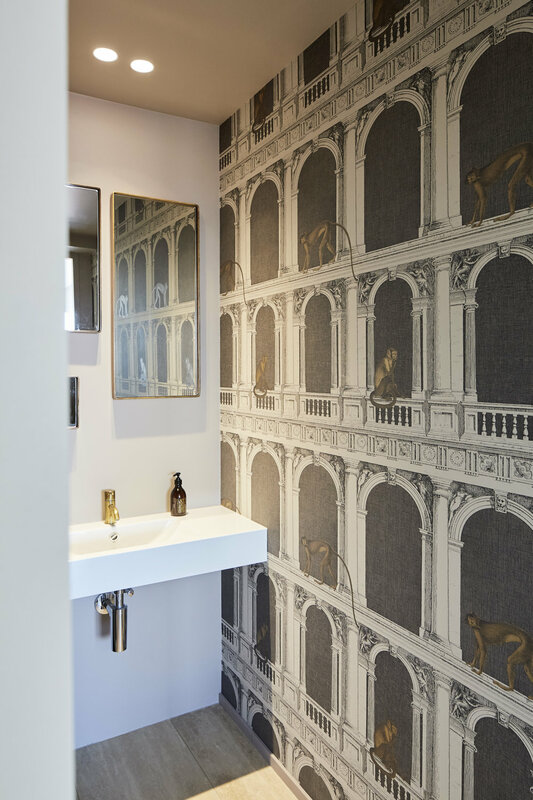 And a touch of extravaganza was favored, hence the huge brushed marble cube and the bathroom wallpapers.